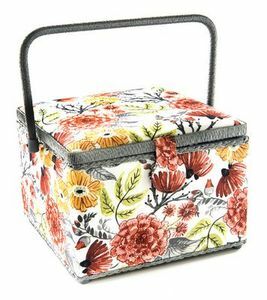 Functionally and fashionable Dritz St. Jane Sewing Baskets are a must for storing all your sewing supplies ! Feature a pocket and pin cushion attached on the inside lid. Size: Large Square - 10 1/2" x 10 1/2" x 7 3/4".